The cryptozoologists among us may be familiar with the tale of the phantom cat of Bodmin Moor. The black panther-like creature that is said to roam the hills to this day. However, it would definitely be a shame if you spent all your time looking for the cat while you’re in this area, as there are some interesting and pleasant places aside from the moor to check out too. Read on to find out more. Despite a government investigation into the existence of the legendary big cat and some pretty convincing video footage that you can watch below, it has never been confirmed that such a creature actually lives there. Luckily, there are other things to do on the moor than hunt down the phantom cat. For one it is a wonderful place for a hike, and with peaks such as Brown Willy and Rough Tor to climb as well, all sorts of adventures will be happy with what is on offer. Then there are also the Neolithic stones that have been on the 208 km site for thousands of years. Be sure to check out the famous Hurlers Stone Circles and don’t miss The Cheesewring. A stone formation said to be the remains of a fierce battle between giants and saints in time immemorial. Of course, one the most important things to get right about your stay in northeast Cornwall is your accommodation. It’s a pretty popular holiday and short break destination too, and that means it’s always wise to book early for busy periods like school holidays. If it’s a luxe experience you are after then, you can do no better than to book a stay in a place like this Luxury Hotel St Austell known as The Cornwall. The reason being that there you will find self-catering lodges, posh bedrooms, and even a calming spa to relax in. Although, if your priority is practicality over style then somewhere like The White Hart Inn or Tredethy House can make a great base from which to explore the surrounding areas too. 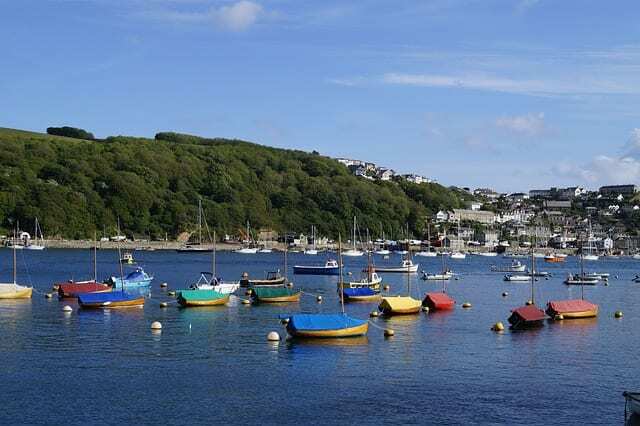 Apart from the moor, there is plenty to do in Bodmin and the surrounding locations as well. One particularly popular activity includes visiting the huge geodesic dome gardens at the Eden Project. There you can check out biomes planted in a rainforest and Mediterranean style, as well as ride England’s longest zip wire or take a walk over the forest canopy walkway. Alternatively, if that isn’t your cup of tea why not head over to Lanhydrock house? A national trust property dating from the late Victorian period. There you will find some magnificent neo-Gothic architecture, as well as a beautiful estate that is perfect for a family bike ride, all with no feline beast in sight. Last of all, while in the vicinity of Bodmin do not miss out on the opportunity to bike the Camel Trail. This is a disused railway line that links various places including Bodmin and the seaside town of Padstow. With lots of scenic landscape along the route, perfect for taking pictures, it’s a pleasure to ride, and you are guaranteed to arrive is Padstow with an appetite fitting for the delicious seafood that they have on offer there. This is an area I have never been to but would love to explore. I’d love to take my children to the Eden Project. It sound fab!